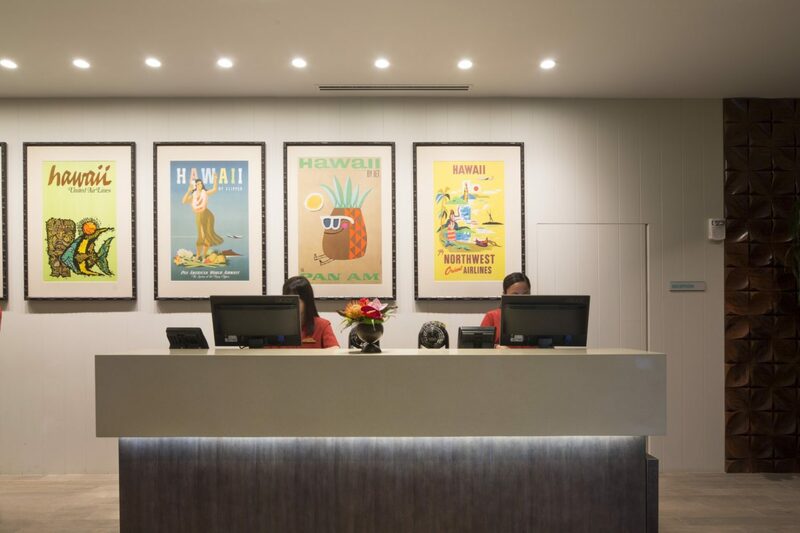 The Queen Kapiolani Hotel, built during the mid-century Waikiki visitor industry boom, was definitely showing the stress of its years. 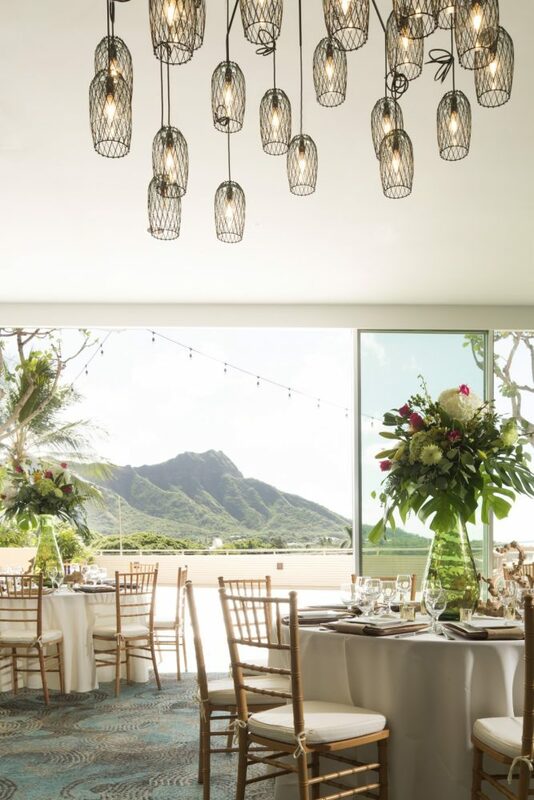 But it had one great advantage in its location along Kapahulu Avenue – it faced a lovely, open park with direct views of the Diamond Head landmark. 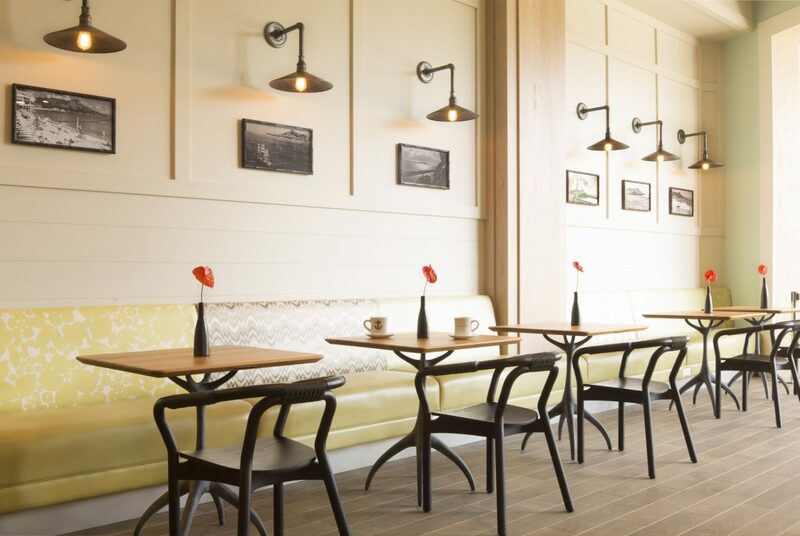 The Philpotts design team’s vision was to create a more engaging and active street level experience and connect the hotel to the park, long known for recreation and gatherings. 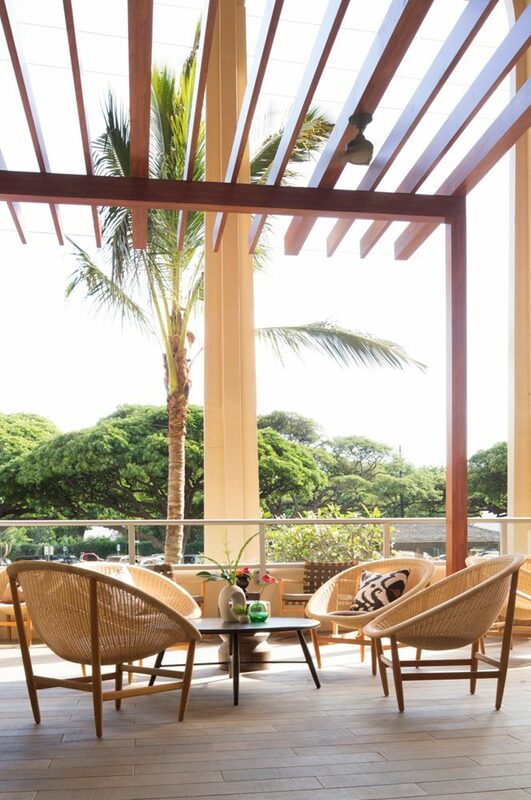 An open air lobby was created with a café and extended lanai space connecting it to the sights and sounds of the park. 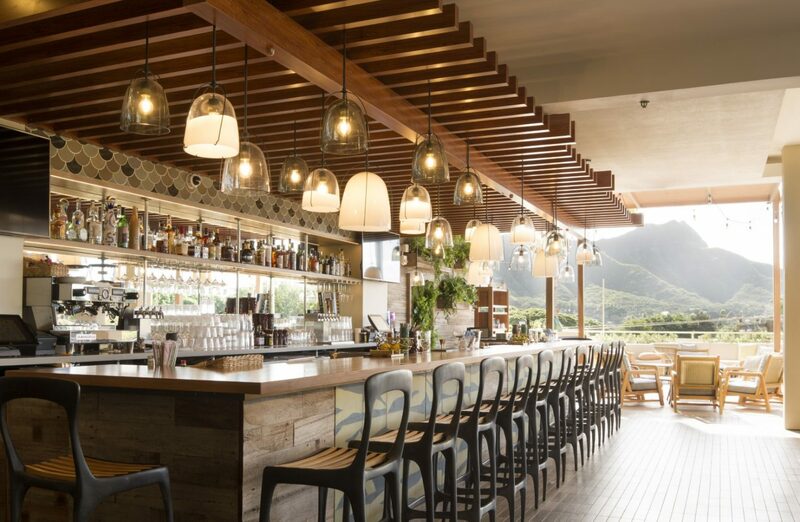 The café design drew inspiration from Waikiki’s traditional fishing history with a hook-shaped bar and seafaring motifs. 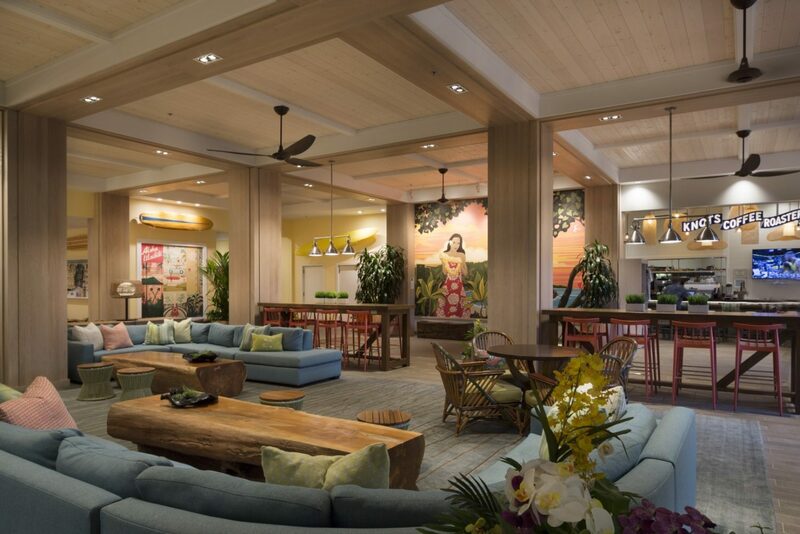 Open and light-filled, the lobby greets guests with a cool, casual atmosphere. 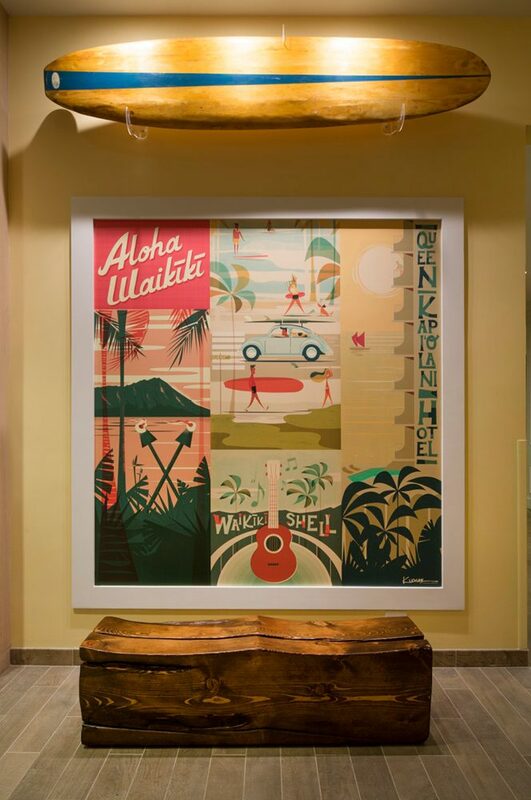 The hotel’s mid-century heyday is celebrated with artwork evoking the era such as old advertisements, surf images, Hawaiian prints and posters. 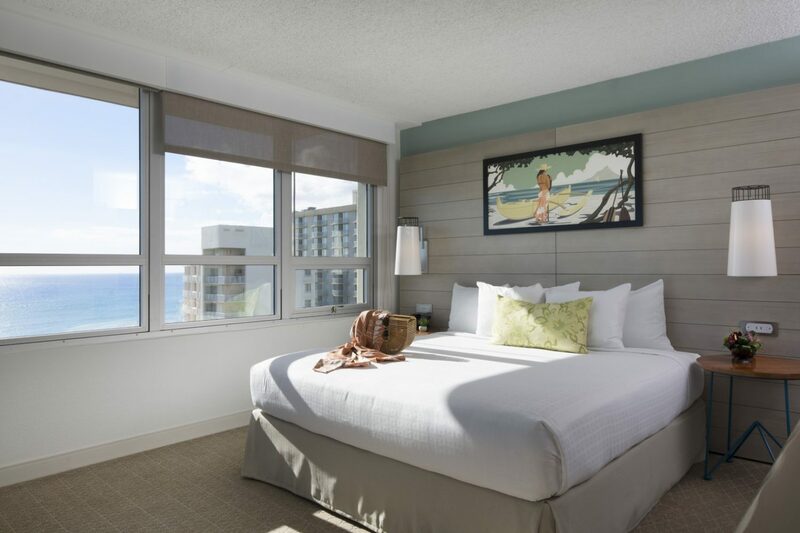 The third floor pool desk and restaurant command panoramic views of Diamond Head, Kapiolani Park and Waikiki beach. A clean aesthetic was created around the pool by installing new chaises and a grass turf surface that leads the eye to the park beyond. 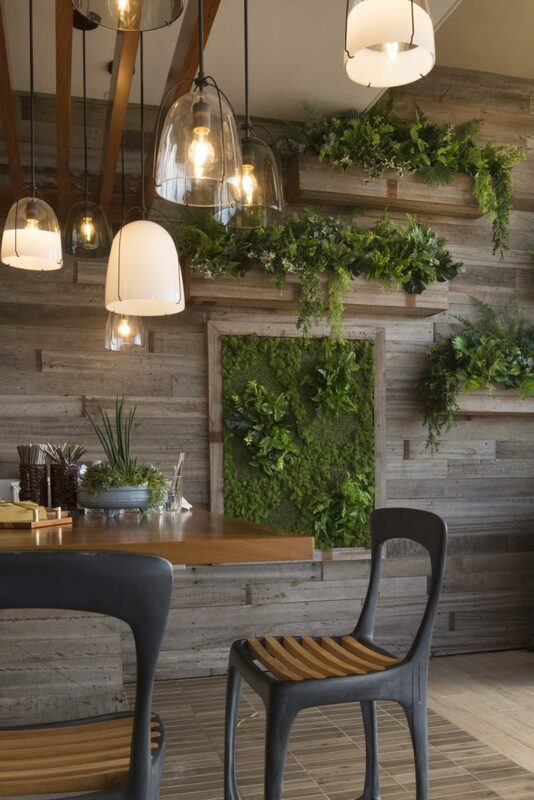 The Deck Bar & Grill’s green living wall is one of the highlights of the space. 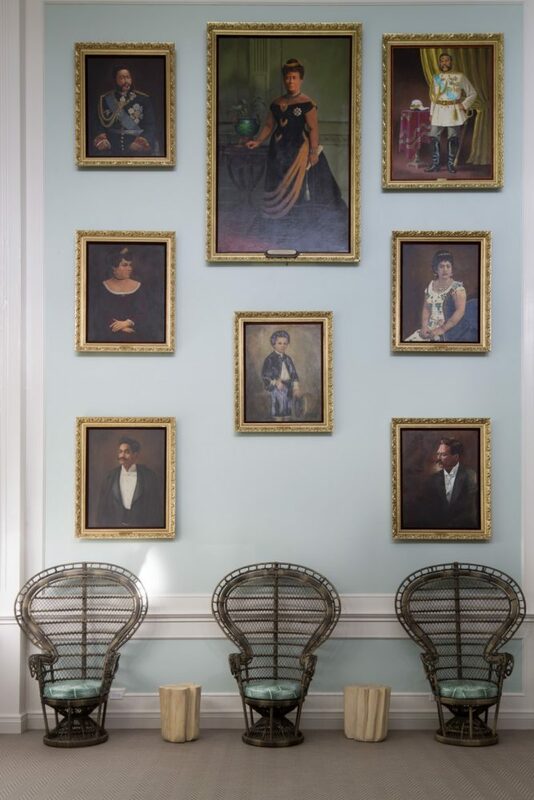 Prior to the renovation, the guest rooms were dark and dated. The Philpotts team worked to make them look clean, crisp and casual. The look is simple and effective. 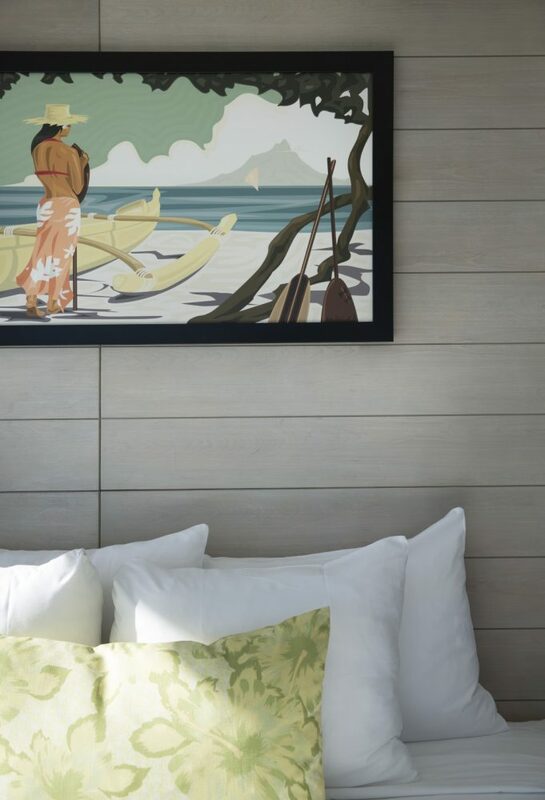 The oversized headboards are tongue and groove with integrated lighting, the bedding fresh and bright with pops of tropical color on the walls and fabric. 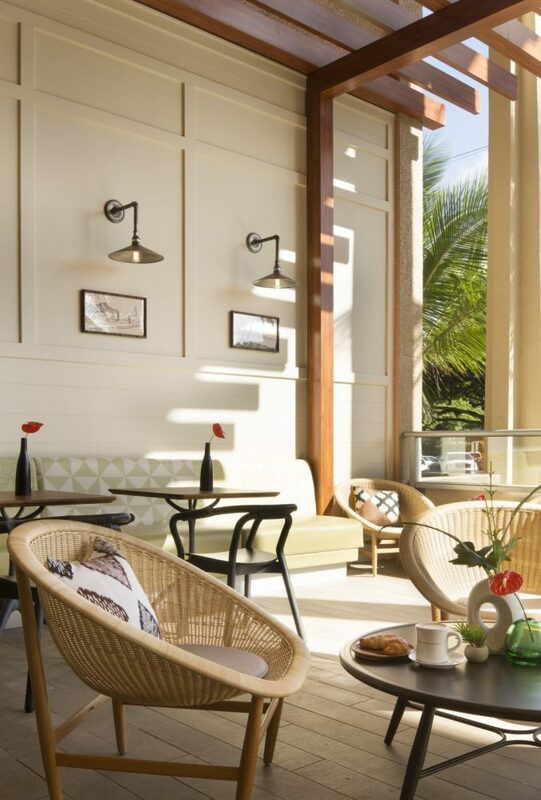 The hotel is again a vibrant property with laid back elegance.